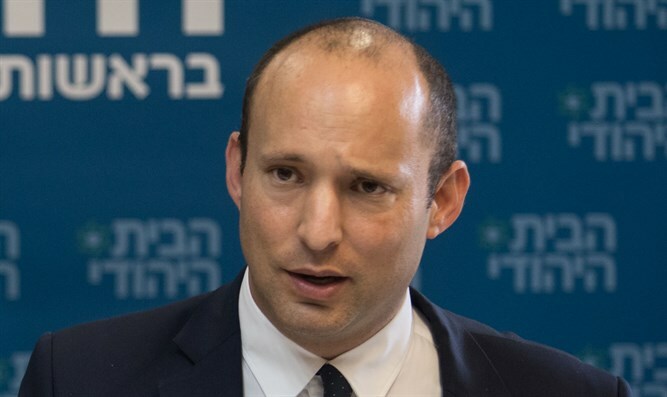 New Right party chairman and Education Minister Naftali Bennett warned that the Trump Administration's peace plan posed a danger to Israel following remarks by Trump Adviser Jared Kushner about the plan. "Kushner's words prove what we already knew - the day after the elections, the Americans will push the Netanyahu-Lapid-Ganz government to allow the establishment of a Palestinian state on Route 6 and the division of Jerusalem, and Netanyahu will have to sell it [to Israel]," Bennett said. "There is a clear and immediate danger right before our eyes: and that is the establishment of a Palestinian state," he said. "Netanyahu and Trump agree on the timing of the plan immediately after the elections. And the fact that the left-wing party of Ganz and Lapid will crawl into the coalition is also known in advance," Bennett added. :There is only one way to prevent this, and it is a strong and powerful new right party that will recommend Netanyahu, but will exert counter-pressure to stop the creation of a Palestinian state. "In the coming elections, the choice will be between the right and Palestine," Bennett concluded.